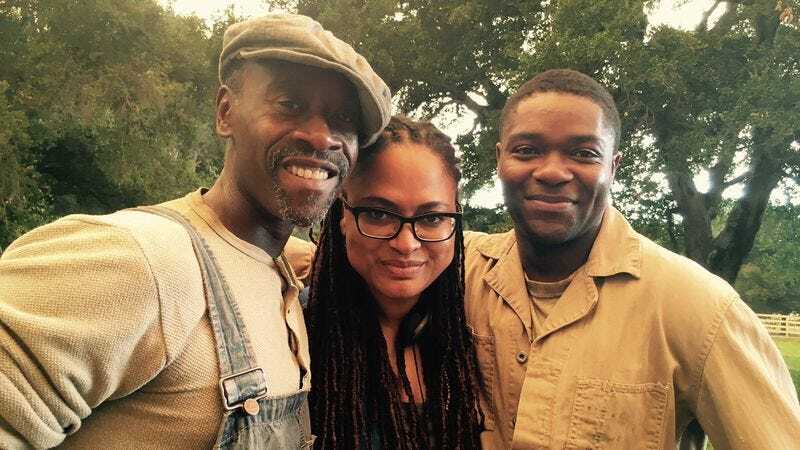 According to Deadline, Ava DuVernay has been quietly working on a short film that’s set to debut this Saturday. In other words: She pulled a cinematic Beyoncé. But the Selma director’s latest project won’t be available in movie theaters. It was actually commissioned as an “orientation film” by the Smithsonian’s new National Museum Of African American History And Culture. The 22-minute short will premiere at the Washington D.C. museum’s grand opening on Saturday. Called August 28: A Day In The Life Of A People, the film follows six significant events in black history that all occurred on that date in different years. Those events include the abolition of slavery in the U.K. in 1833, the lynching of Emmett Till in 1955, Martin Luther King Jr.’s “I Have A Dream” speech in 1963, Hurricane Katrina’s landfall in 2005, and Barack Obama’s Democratic nomination acceptance speech in 2008. And DuVernay assembled quite the all-star cast for the historical project, including Don Cheadle, Regina King, Angela Bassett, Gugu Mbatha-Raw, Lupita Nyong’o, David Oyelowo, Michael Ealy, Andre Holland and Glynn Turman. She tweeted out these set photos on August 28 this year. DuVernay—who is currently working on both her OWN TV show Queen Sugar and a big screen adaptation of A Wrinkle In Time—reportedly shot August 28 “on weekends” for the past month. She spoke to Gayle King about the project for CBS News earlier in September. August 28: A Day In The Life Of A People will play daily at the National Museum Of African American History And Culture for its first year.